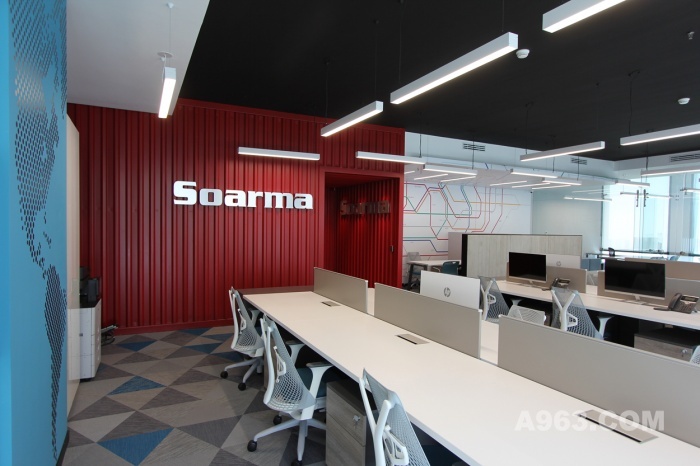 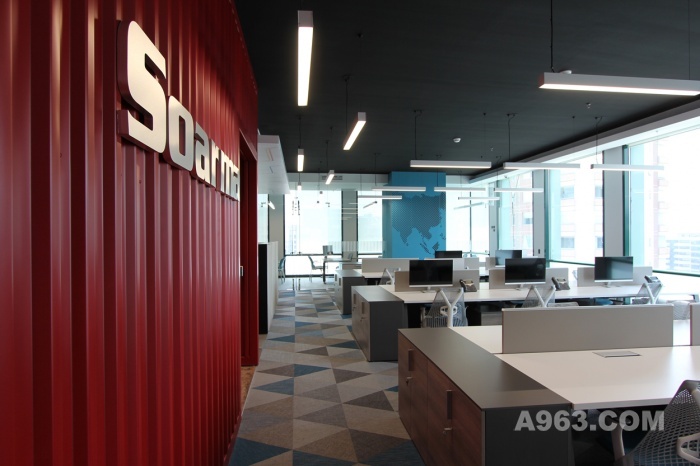 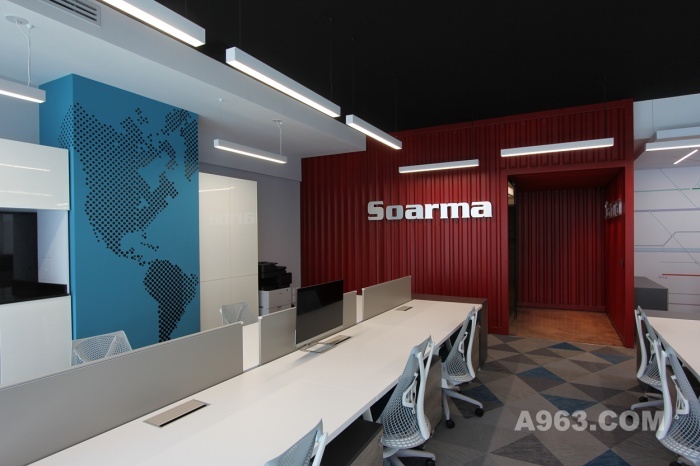 The image of Soarma receives co-workers and visitors into a space with a contemporary industrial dynamic atmosphere. 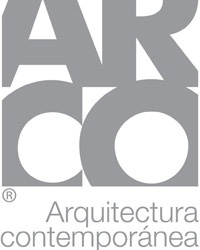 ARCO Arquitectura Contemporanea´s team integrated a project in 147 sq m floor plan in which flexibility and productivity are the central elements. 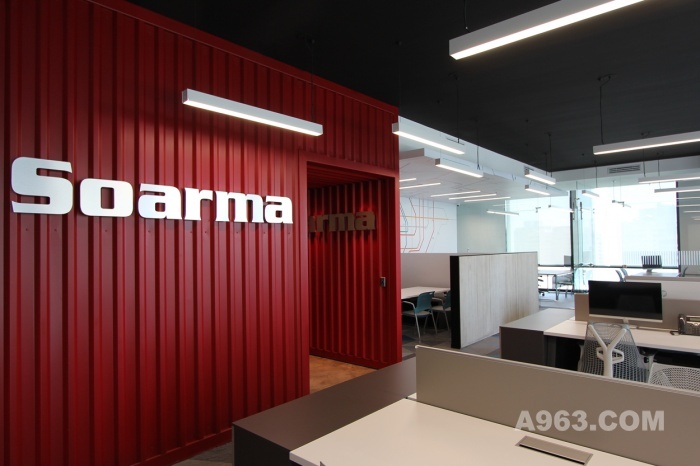 The whole concept of the project starts at the main entrance, a red container on polished concrete floor from, making evident the company´s vocation dedicated to the import and commercialization of fittings. 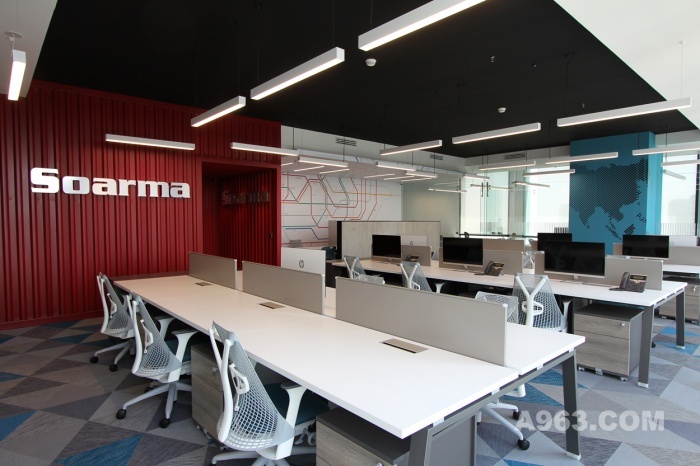 In order to grow in space and capacity, besides reaching better communication and optimization, it was decided to have an open central area that fills with natural light the entire place, emphasizing the harmony of the color palette based on grays that completes with red and blue accents attaining contrasts. 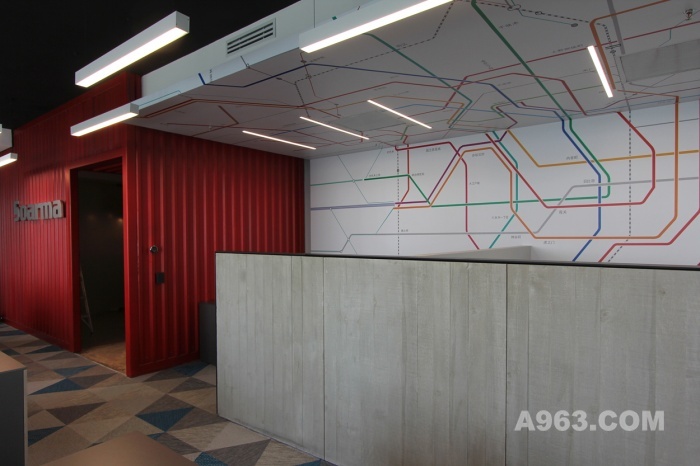 The program was arranged to include different areas, there are 2 semi-private offices —divided by concrete wall covered in the lower half by wood— and 3 private offices divided by glass with graphics and Japanese letters on each door. 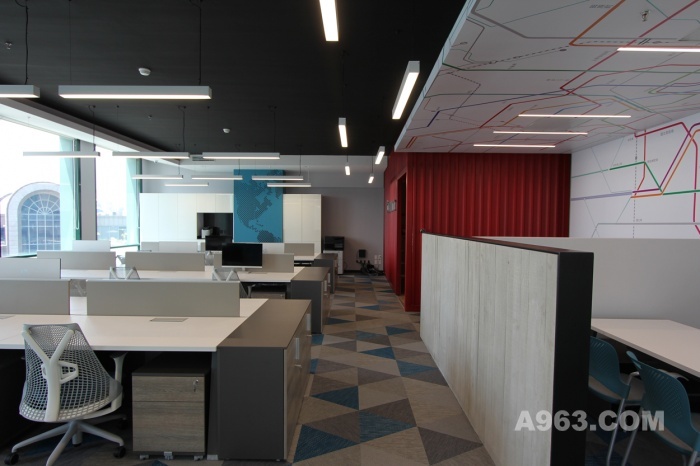 The central area is open with three working stations with a capacity for 6 people each.